Bronze goes with everything, and so does this modern take on a stud hoop earring. 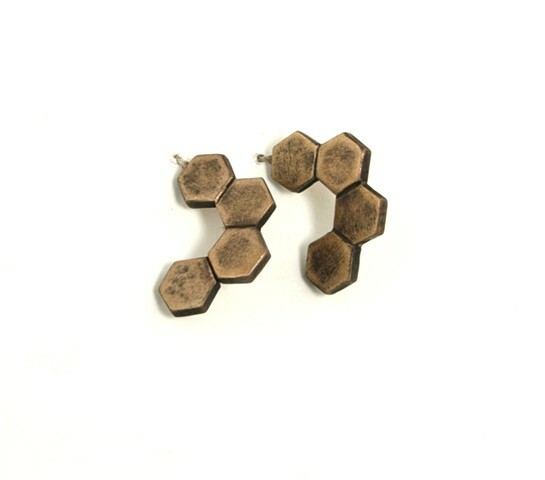 Lightly oxidized bronze hexagons with silver posts. Click on the price to purchase with Paypal.